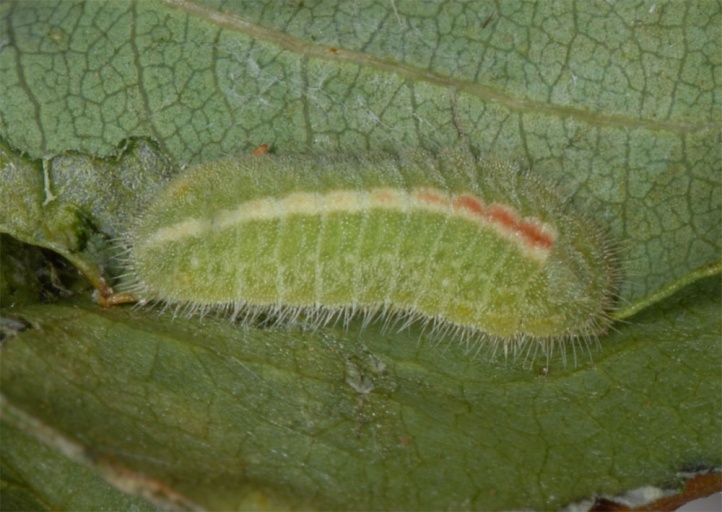 The caterpillars live on Paliurus spina-christi (Rhamnaceae). 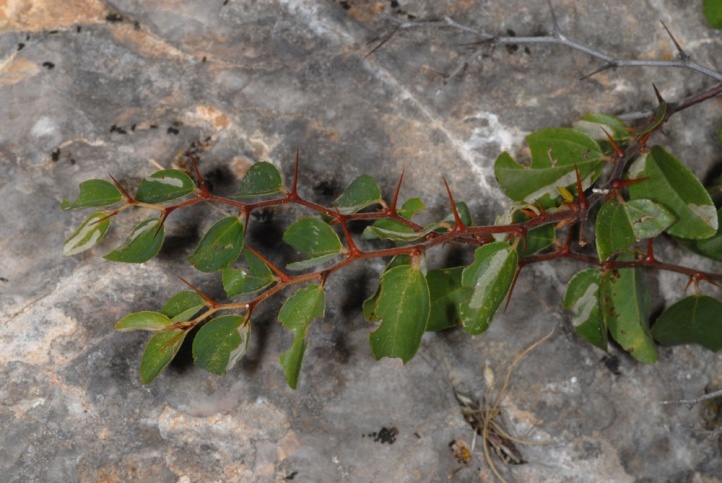 Tarucus balkanicus inhabits arid sheep pastures, rocky slopes and similar grasslands areas where the host plant (a bramble) is frequent. 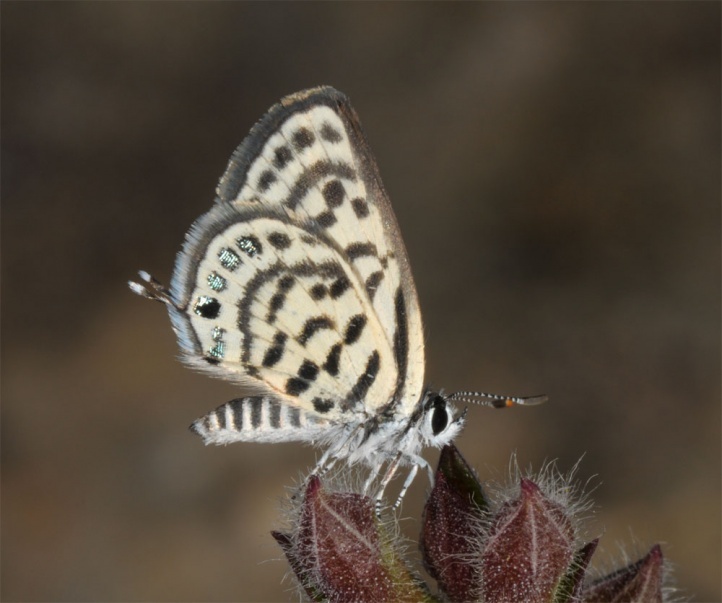 Tarucus balkanicus has several generations per year. 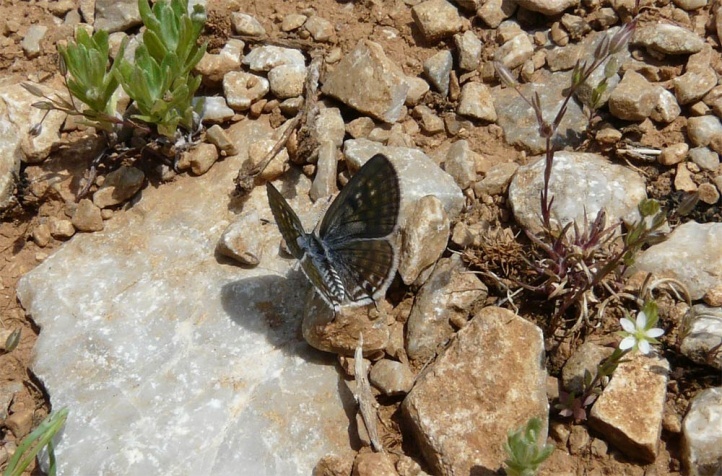 I met adults of the first generation in Northern Greece in early May at the foot of slopes. 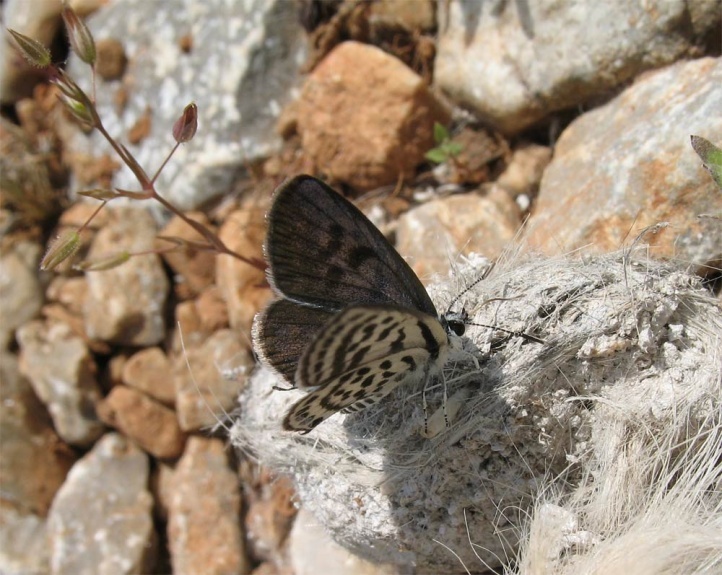 I found caterpillars and eggs in late July 2011 in the Askio Mountains (Northern Greece) quite numerous at an extremely xerothermic slope in heat accumulation over stones, rocks and niches. 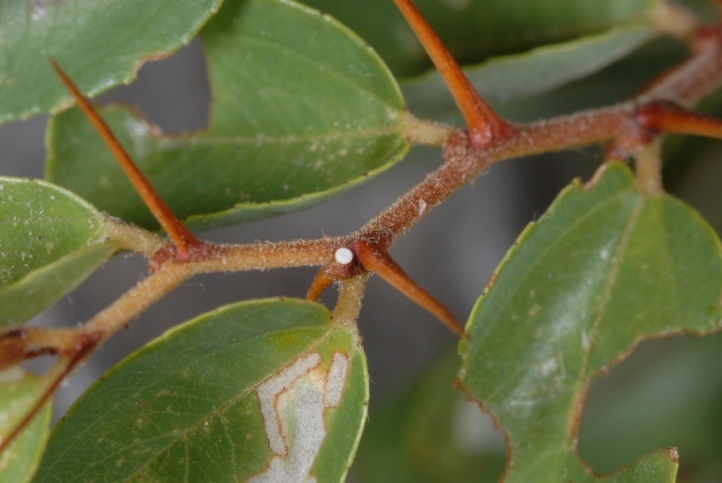 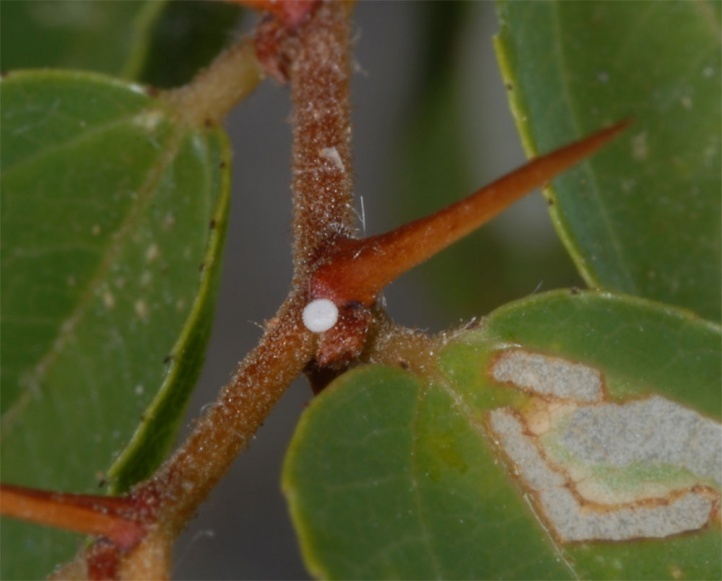 Eggs are laid at the base of spines, rarely also on leaves. 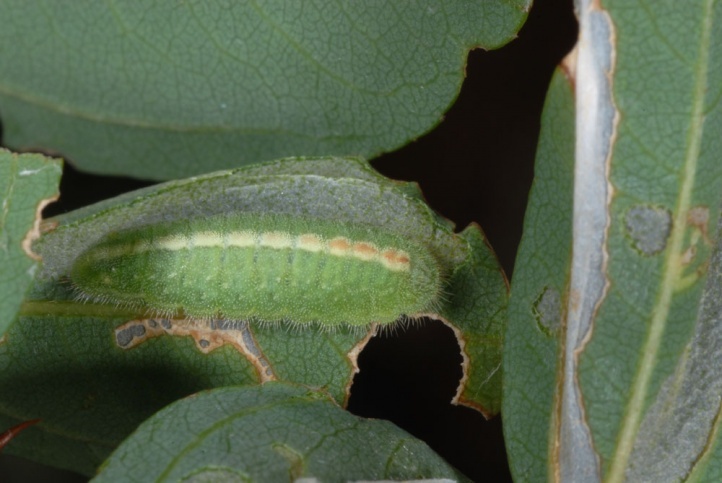 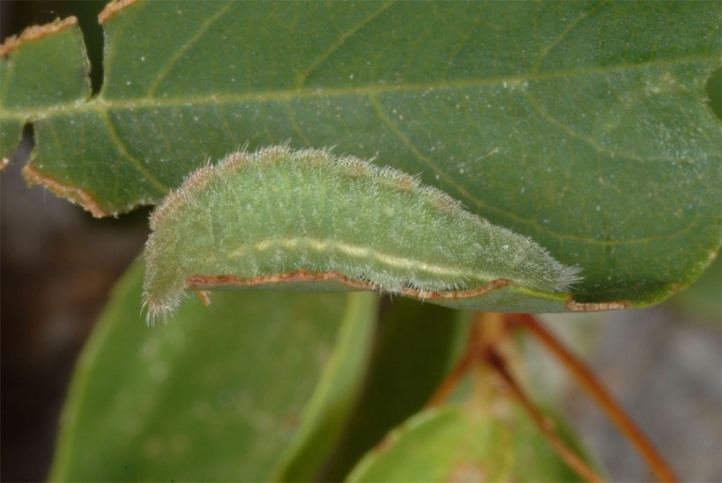 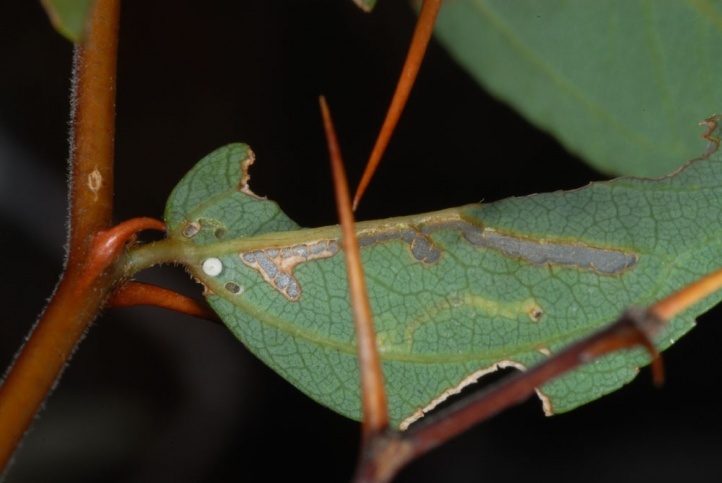 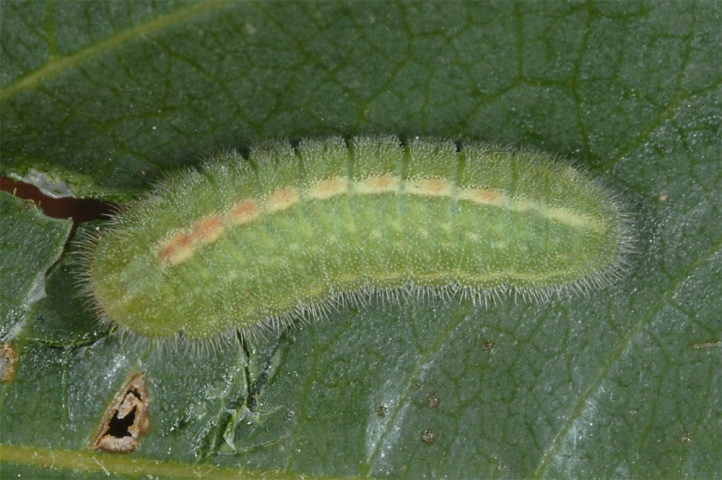 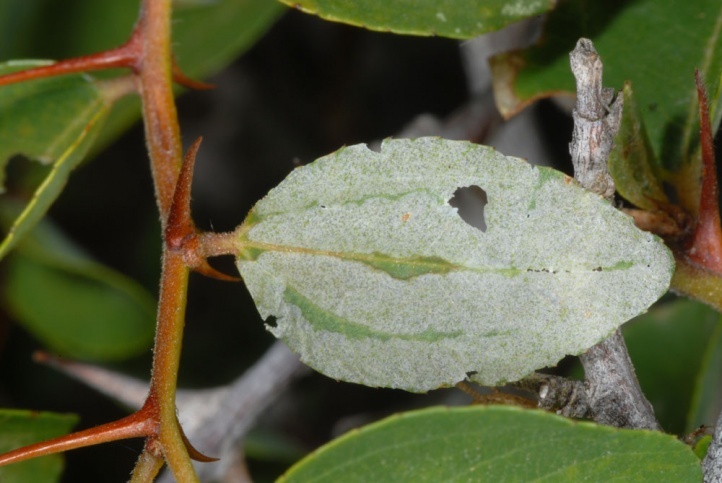 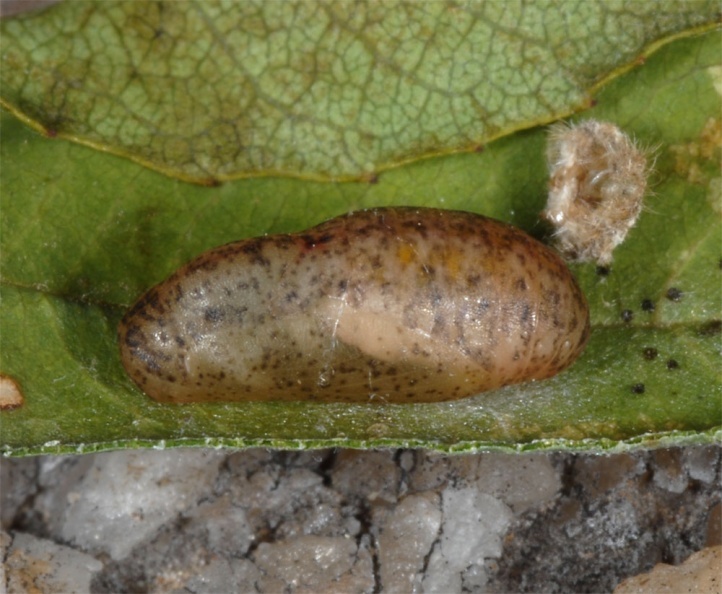 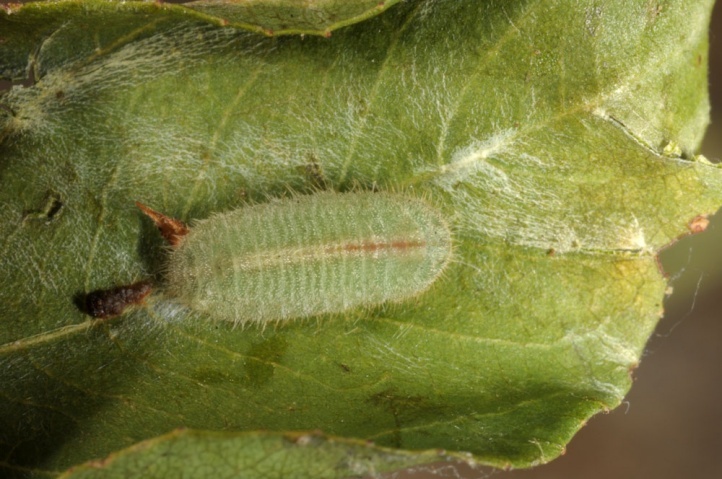 The larva has a characteristic feeding pattern with one to four mines strips in the longitudinal direction on the leaf. 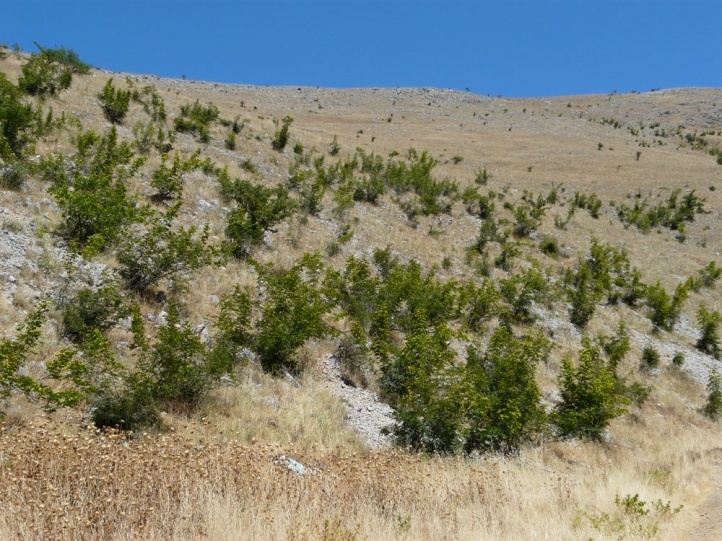 Tarucus balkanicus is threatened by habitat changes and overbuilding (e.g. 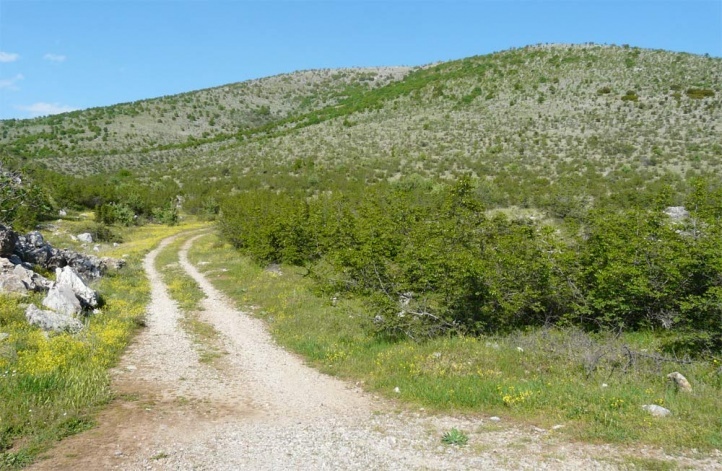 east of Mount Olympus). 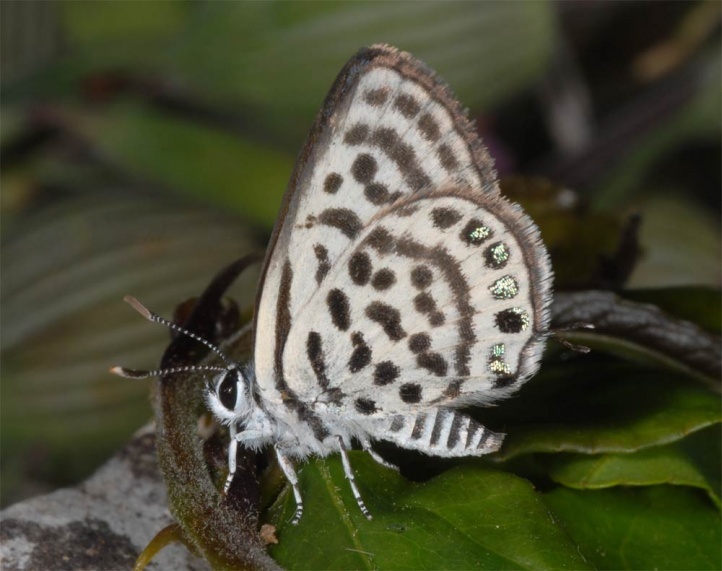 Looking ahead, also a threat may arise from land use through solar farms, which may be constructed in ecologically valuable areas (Askion etc.). 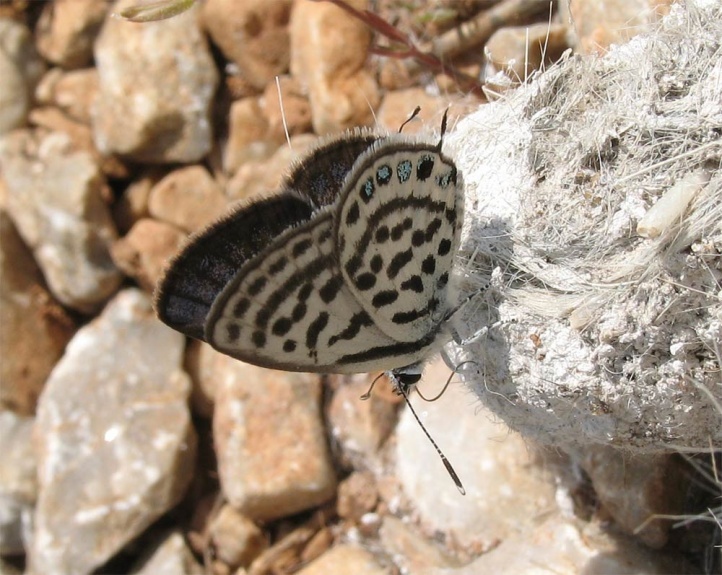 Tarucus balkanicus flies locally in Africa and is found from the Balkans (from Croatia) across Turkey and the Arabian Peninsula to Central Asia.